At Whitebox3, we offer a vast array of music stand lights. Below are just a few examples. If you have a specific requirement for lighting, please do just call us for assistance. Amazingly bright LED light that clips nicely onto most music stands. Available as a single or twin light. 3 x AAA batteries give up to 30 hours of light. 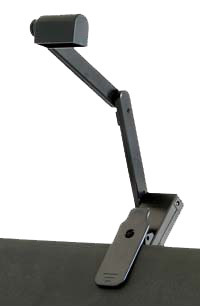 Unique music stand light that can operate with batteries or AC adaptor. Fits most music stands. Designed for indoor and outdoor use. Complete with carry case. 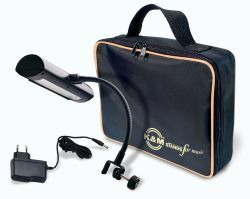 Superb clip on LED music light that fits most music stands. Lights an entire score with a high powered LED that has a rated life of 50,000 hours. ClipLight is supplied with batteries and smart storage pouch. Optional mains adaptor is available.